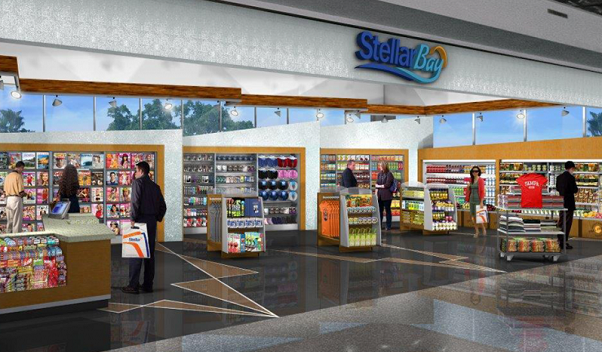 Perhaps no concept is more representative of the rapidly changing airport concession landscape than the newsstand. 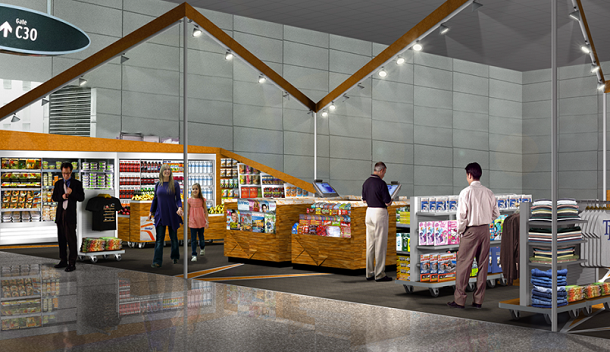 Yesterday's traveler grabbed a newspaper and candy bar on their way to the gate, but today's passengers expect comfort and convenience, as well as value and variety in one easy to navigate News/Convenience store. They will find all that at StellarBay. 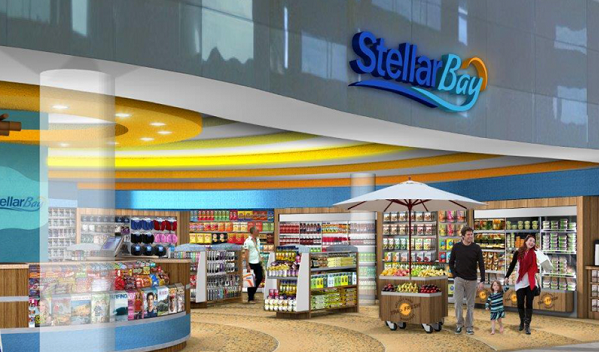 StellarBay, designed as a travel emporium, features an optimal mix of international, national, regional and local brands across a variety of categories including fresh food conveniently packaged for a flight.